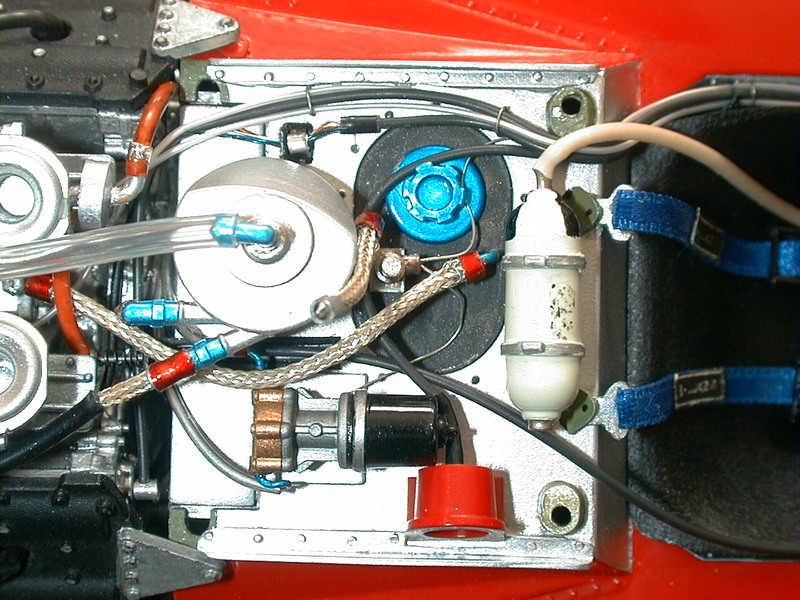 The deformable body regulations of 1973 meant that the formerly coke bottle aluminium monocoque sides of the 1971/2 M19C with enclosed bag tanks became obsolete and couldn’t be modified. 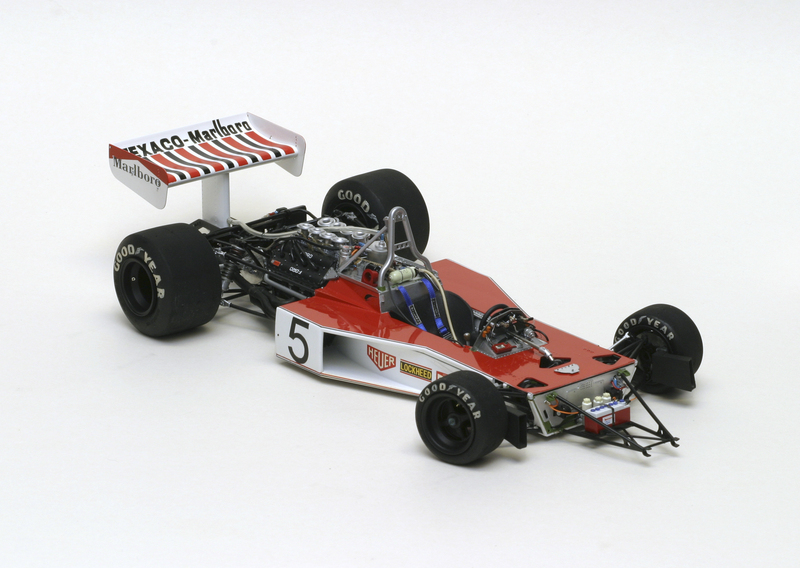 Therefore, on Gordon Coppuck’s re-employment as Formula One car designer, he penned the M23 during 1972 for the 1973 season, drawing on his Indy experience and the highly penetrative wedge-shaped M16. 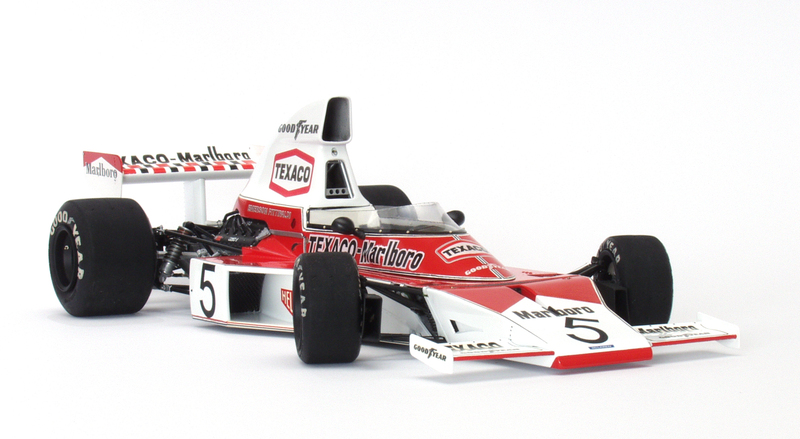 In 1973, the new Yardley M23’s showed promise in the hands of Peter Revson and Denny Hulme again, winning three Grands Prix and securing a respectable third place in the Constructors’ Championship for McLaren. 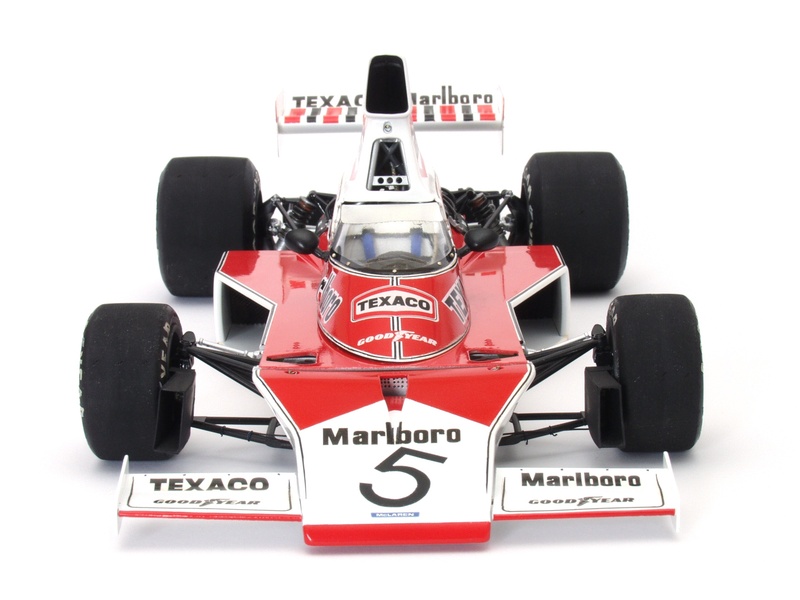 In 1974, with new Texaco-Marlboro sponsorship, came along the ex-Lotus driver Emerson Fittipaldi, full of enthusiasm and willingness to test exhaustively. 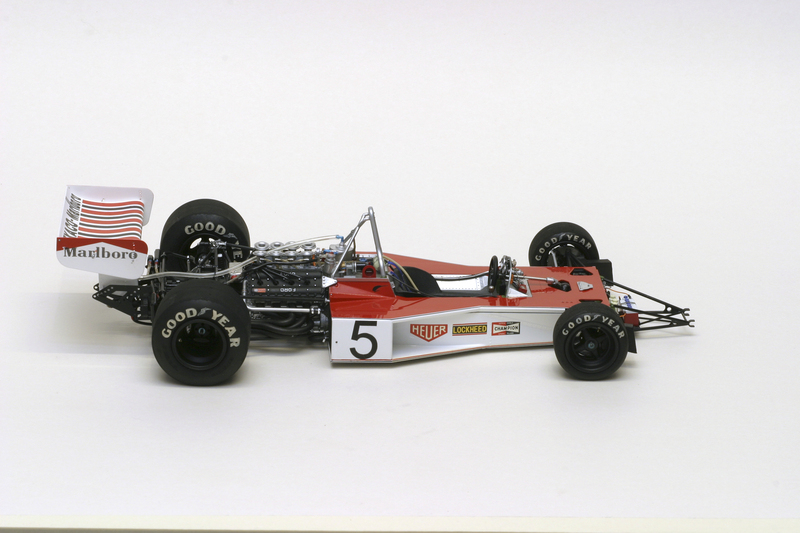 This paid off and the maturing Fittipaldi along with McLaren’s high work-rate in the development department, saw an ever-changing car keeping up with the rest and sometimes exceeding others’ potential. 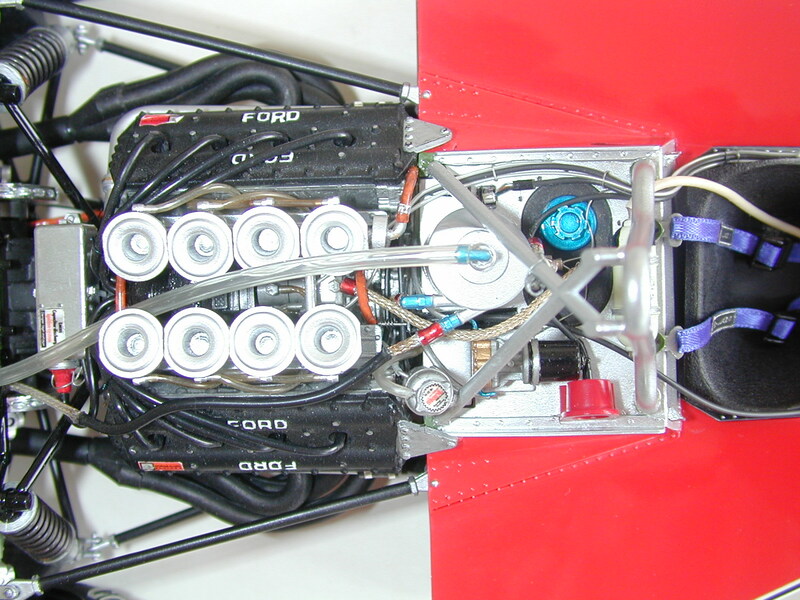 The result was wins for Emerson in Brazil, Belgium and at Mosport Park, along with other good placings, retiring only three times due to engine failure twice and non-fault accident damage once. 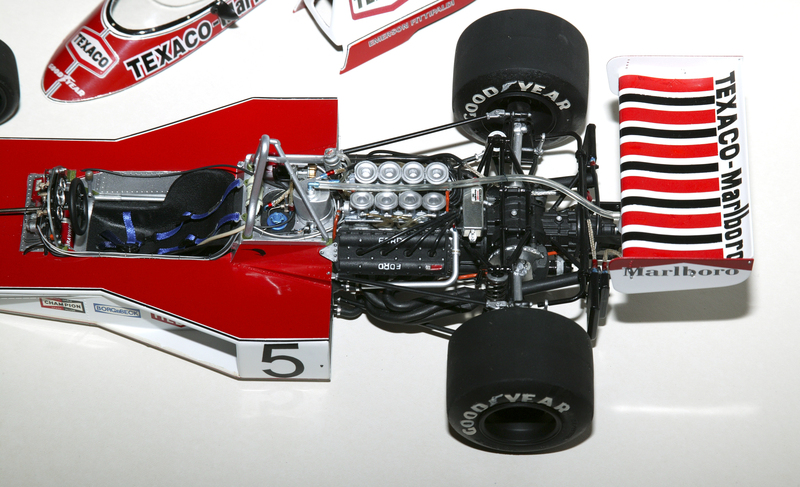 This enabled the canny Fittipaldi to accumulate sufficient points to win his second Championship, after a three-way title battle in the final Grand Prix at Watkins Glen where both Regazzoni (Ferrari 312B3) and Scheckter (Tyrrell 007) were in with a shout of title glory. 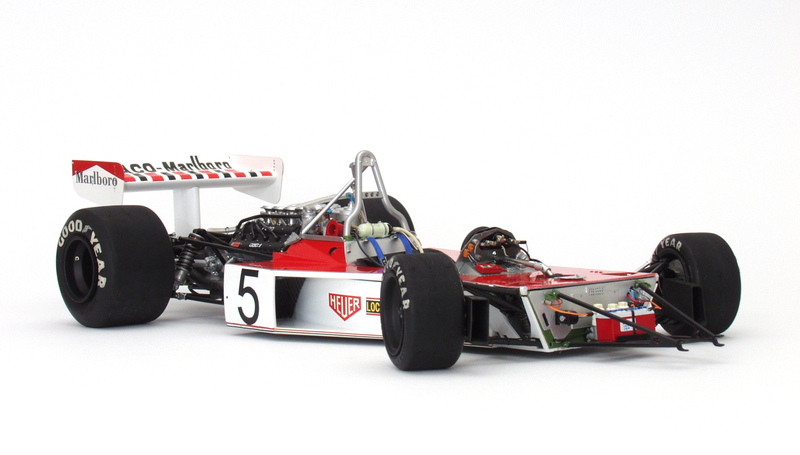 Emerson’s intelligent economic style with mechanical sympathy brought the best out of the M23 at that time and enabled further developments to take the M23 successfully into a third (’75) and fourth (’76) season. As an extra, please View the PDF of the article I wrote for Scale Models International, appearing in one of their later issues, before auto models were no longer catered for. 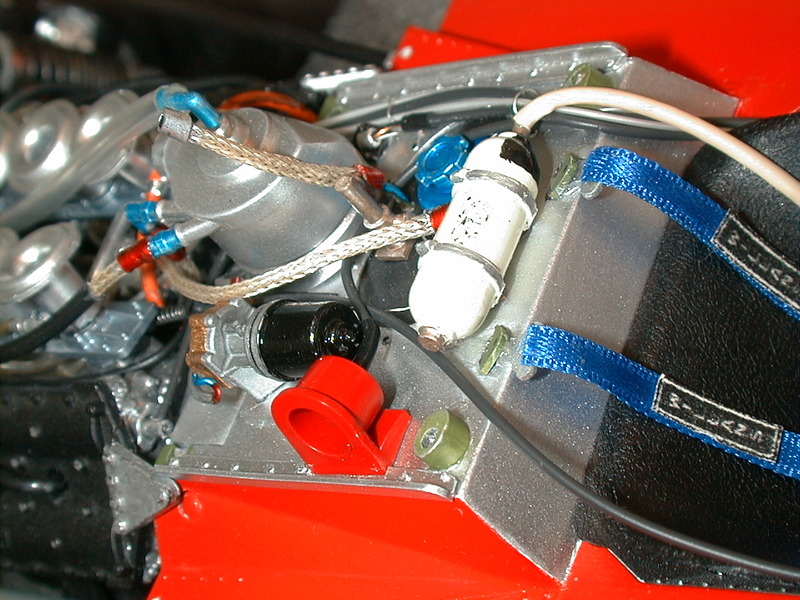 The model was built in 2006 in response to a request from Kerry A, owner of a race car restoration/preparation workshop, here in England. 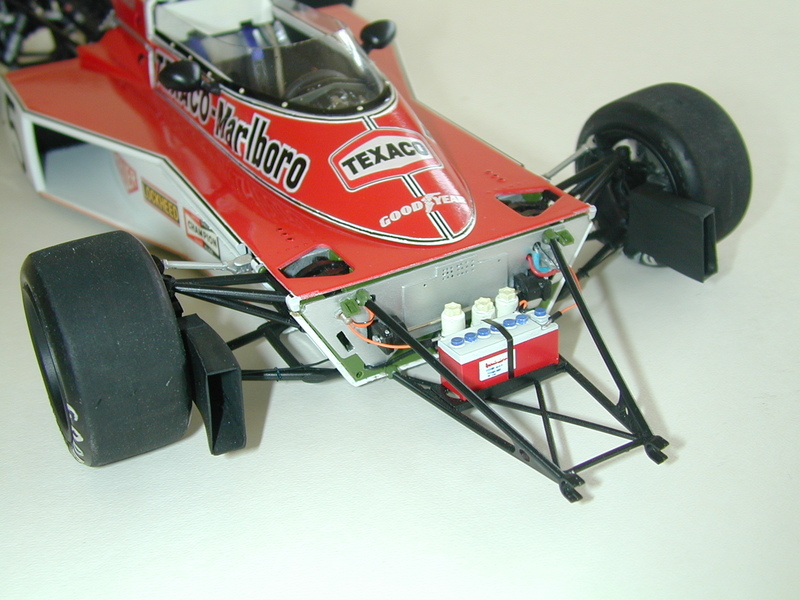 Way back in 1976, Kerry a former McLaren and Brabham mechanic had been given a 1/12 Tamiya model of the Texaco Marlboro M23 McLaren as raced by Emerson Fittipaldi and Denny Hulme in the early part of 1974. Kerry appears on page 66 of the Schlegelmich/Lehbrink photobook, ‘McLaren Formula 1’ (Konemann, 1999) – he is the long dark haired mechanic, passing behind Jochen Mass’s 1975 car at Monaco in the pits. 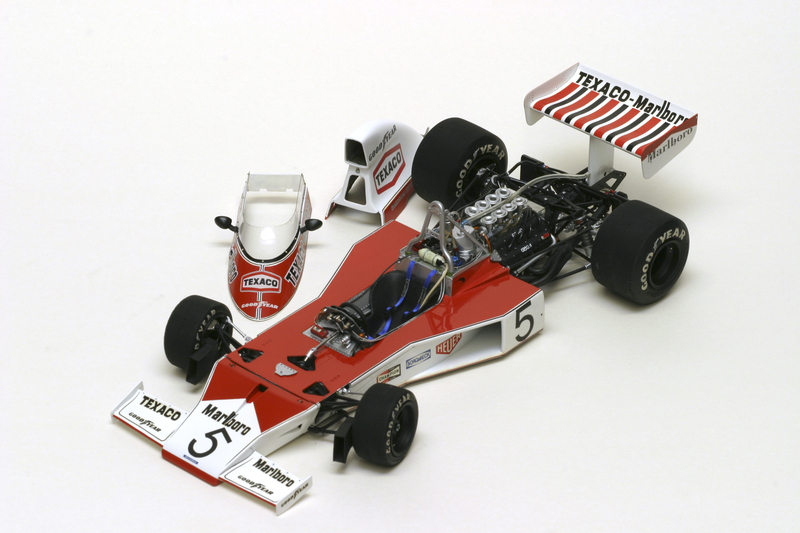 The model as boxed, depicts the car as driven in Argentina and Brazil and is an excellent rendition of the car in my opinion. 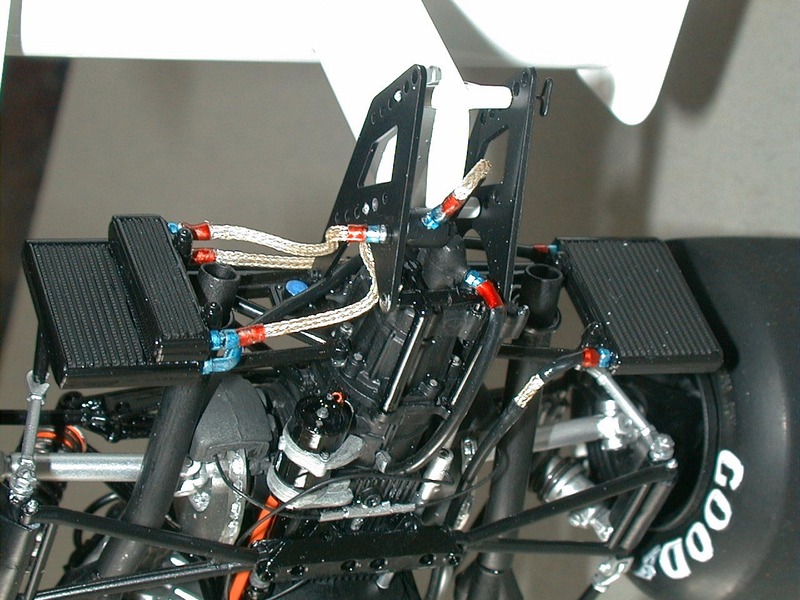 However, for practical, cost and licencing reasons no doubt, there are many simplifications and these would cause me to want to replace several parts and super-detail much of the car. 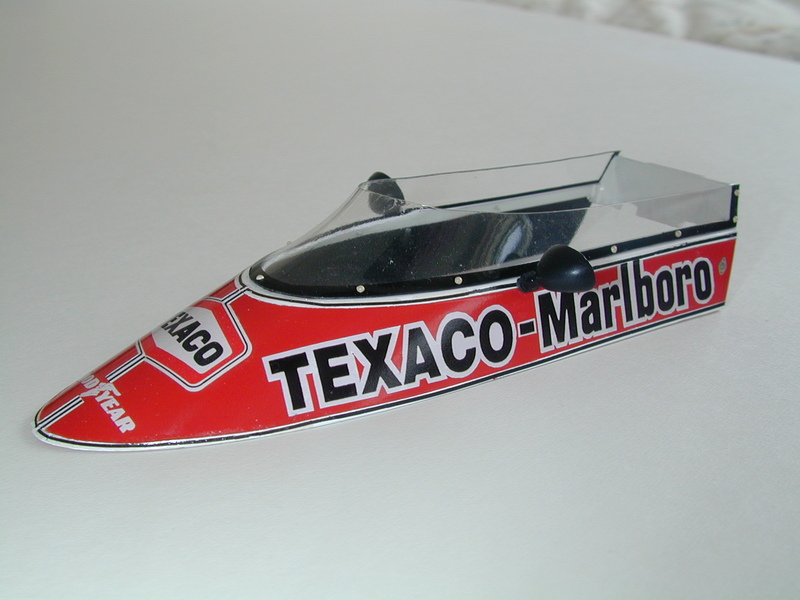 The decal artwork in certain areas is of insufficient accuracy (especially the Texaco-Marlboros) and naturally, the decal quality of the original kit falls far short of the more recent Studio 27 re-issues. 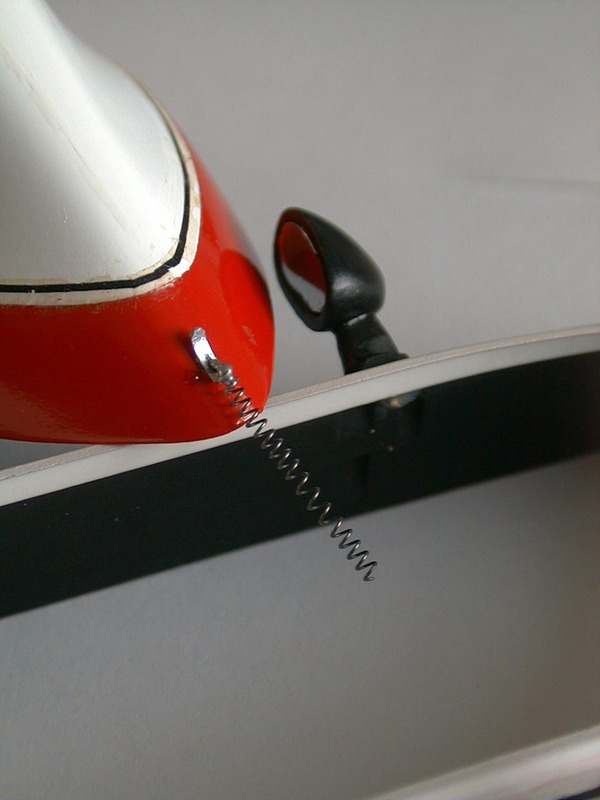 Having said that, the model as originally presented is an excellent base on which to improve the final result, should alteration and super-detailing be within one’s skills and patience. 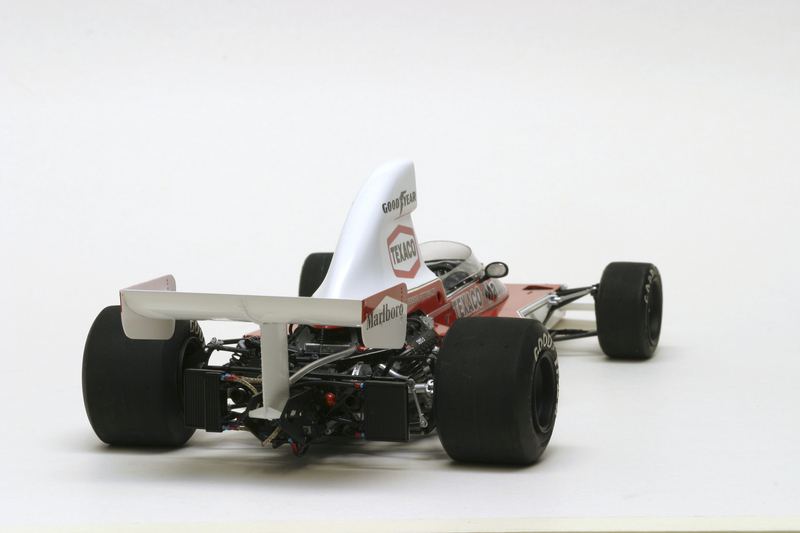 Kerry received a copy of the model along with other McLaren mechanics as a gift from Tamiya, at the 1976 Japanese Grand Prix (Mount Fuji circuit), in celebration of Fittipaldi’s World Championship in 1974. He made a start on the model in subsequent months and with an unsatisfactory outcome, he stored the incomplete attempt in his garage loft. 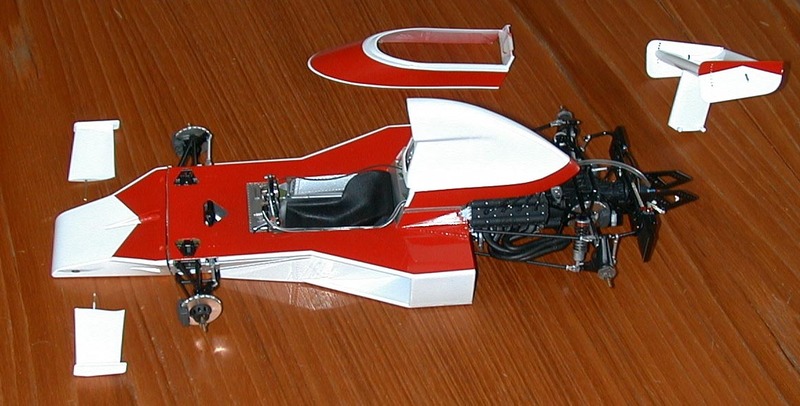 I came along in about the year 2000 to demonstrate the 1976 M23 model to Kerry and he then asked me if I could build his 1974 M23 model, which he explained he had started and subsequently abandoned. I wonder what happened to all the other models gifted to the other mechanics? On receiving the box of bits, although a horrendous arrangement of part built/painted sub-assemblies and scorched/curled decals, I was relieved to see that Kerry had used enamel paints. 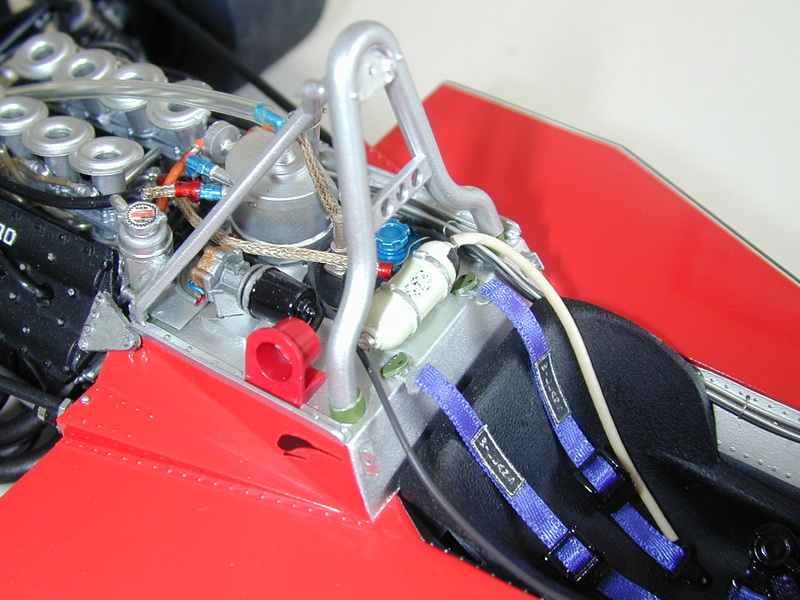 These were easily removed with an appropriate cleaner and then the entire kit was disassembled and restoration of damaged parts was carried-out to bring together a refreshed, effectively as-new kit. 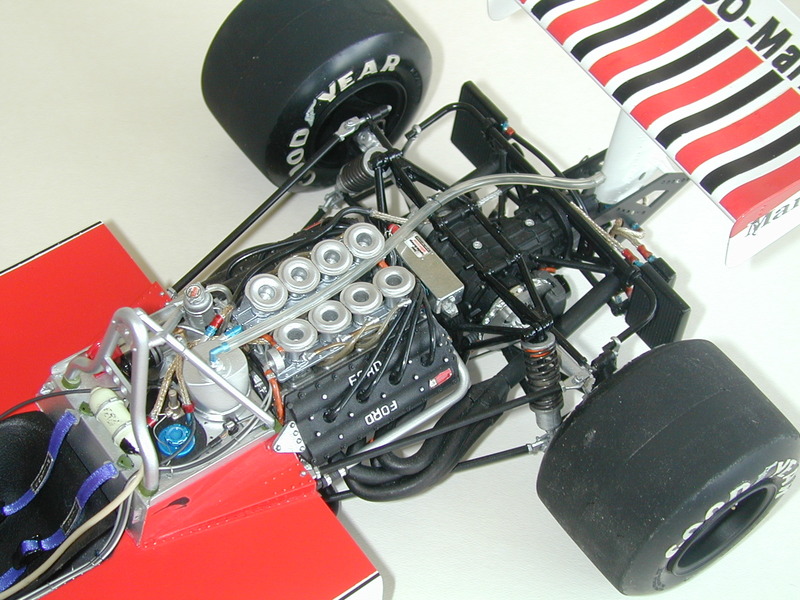 In the race ‘shop at the time, Kerry had the actual M23/5, acquired for later re-uniting with others at the McLaren headquarters. The undamaged (a credit to Emerson) and beautiful car was in need of some engineering love and was a joy to work alongside for several months whilst I gathered data suitable for my work. 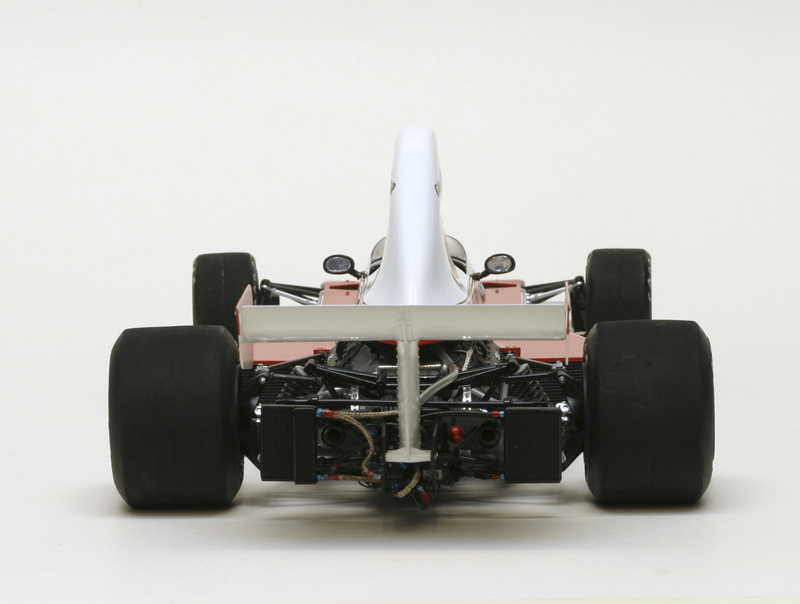 The car had retained the tall narrow air inlet airbox as used in Canada and the U.S Grands Prix, late ’74, whilst the mid season tall airbox and the early season smaller airbox were no longer with the car. Essentially, the selection of pictures of the model in progress and completed, tell the best story having set the scene above. 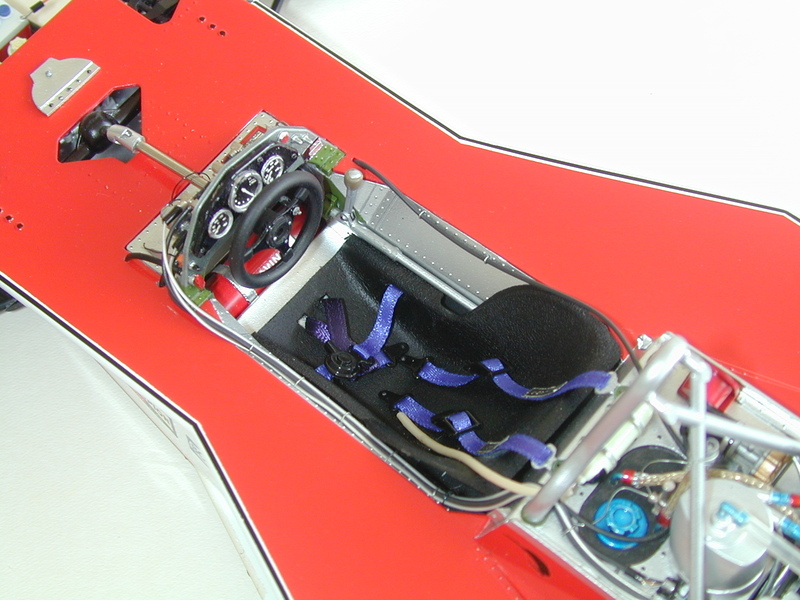 My approach was in essence, to superdetail all areas, as per the real car I had access to. 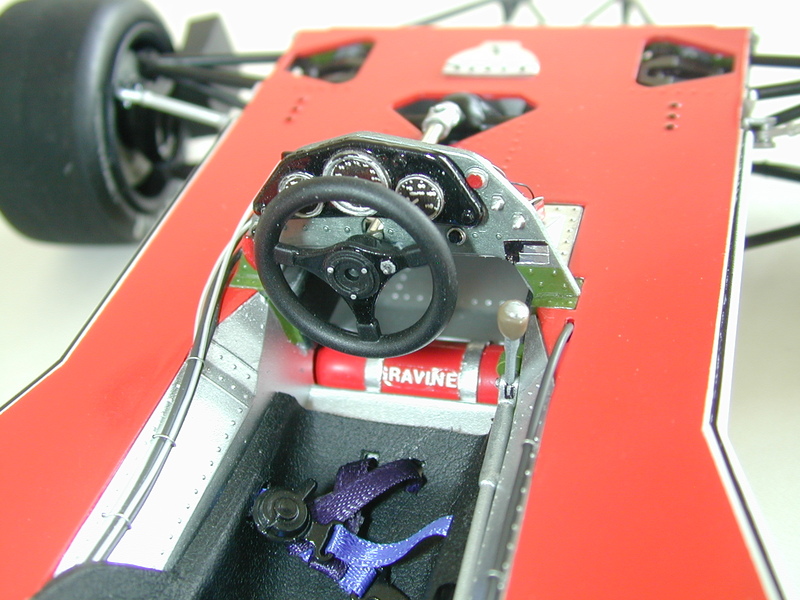 This involved in particular the cockpit, engine, original Tamiya Hewland FG400 gearbox, steering box, brakes, attention to detail in the monocoque and bodywork, wheels, late season airbox (from my spares box) new vac-formed windscreen and Milliput-copied wingmirrors (ex-Ferrari 312T). 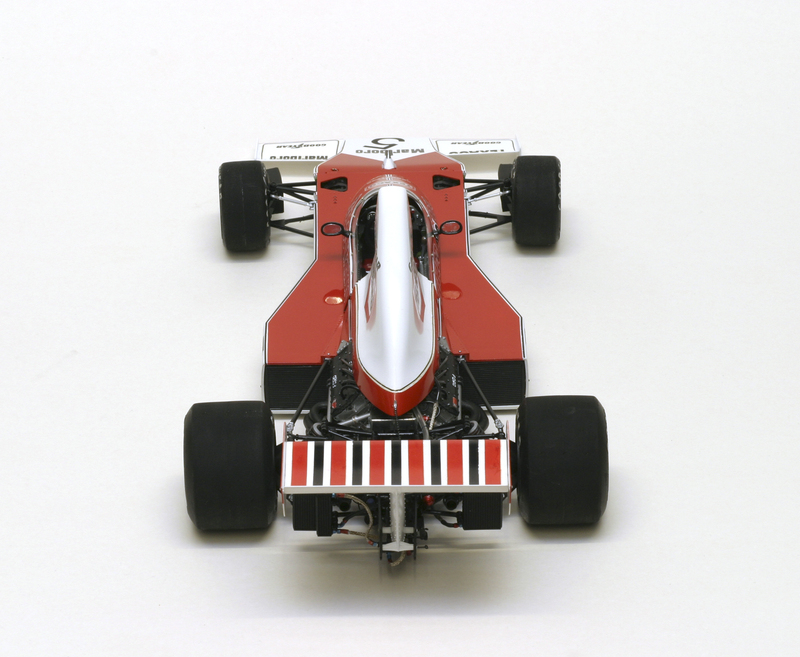 The final presentation of the model was to represent the car as driven mid season, perhaps at Brands Hatch for the British Grand Prix, where Emerson finished second. 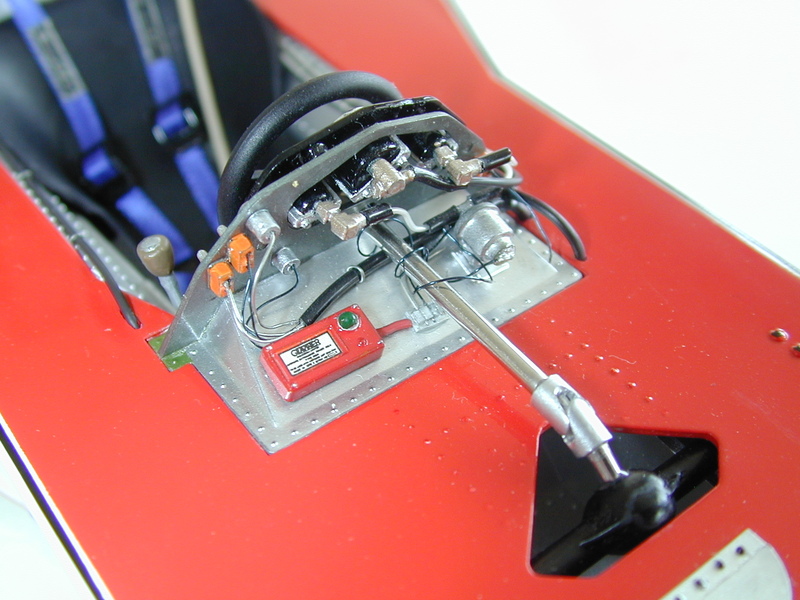 Having detailed the model both correctly and with a high degree of care, the decals were the aspect which fell far short of what was needed. 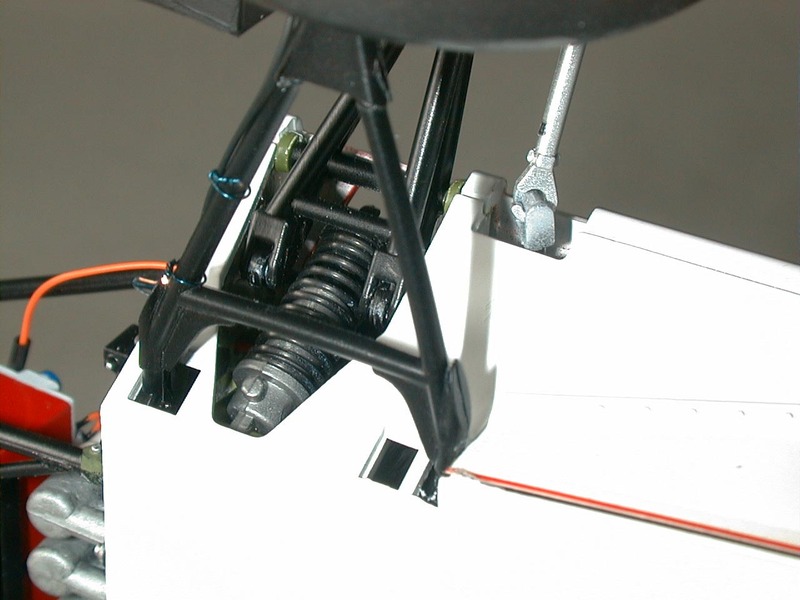 The degree of effort spared for this model was not quite to the degree I would usually apply to an elite model of my own, partly because I would be giving it up and also because I was having to make use of sub-standard parts and in particular the decals. 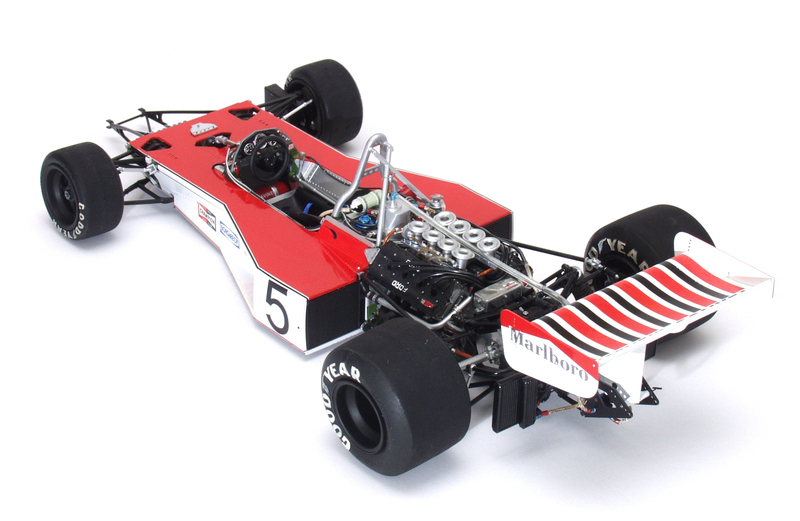 In future, I have always intended to build a series of 1974 M23’s and these would hopefully be built to a higher standard for my own collection, my own skills and experience having moved on hopefully. 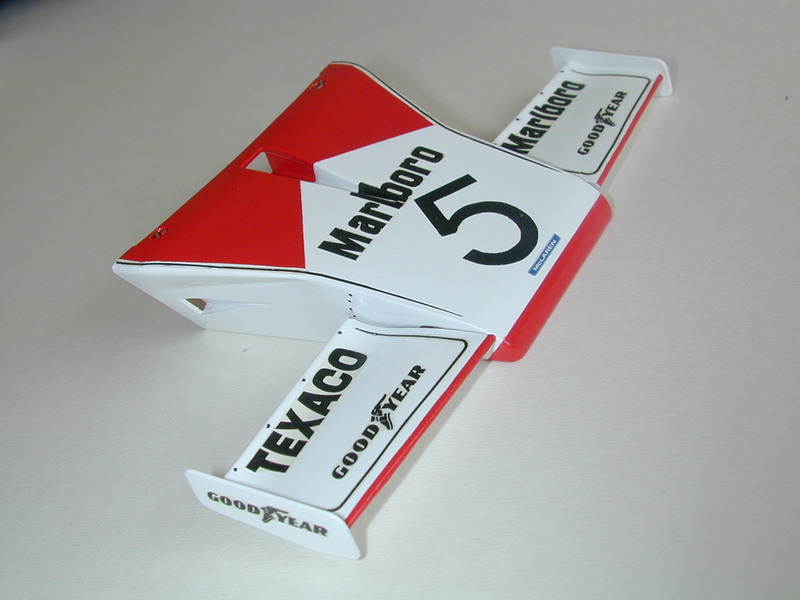 The rather sorry decals then required careful salvaging, re-sizing of the black Texaco-Marlboros and then printing these on white decal film, before hand cutting each decal. 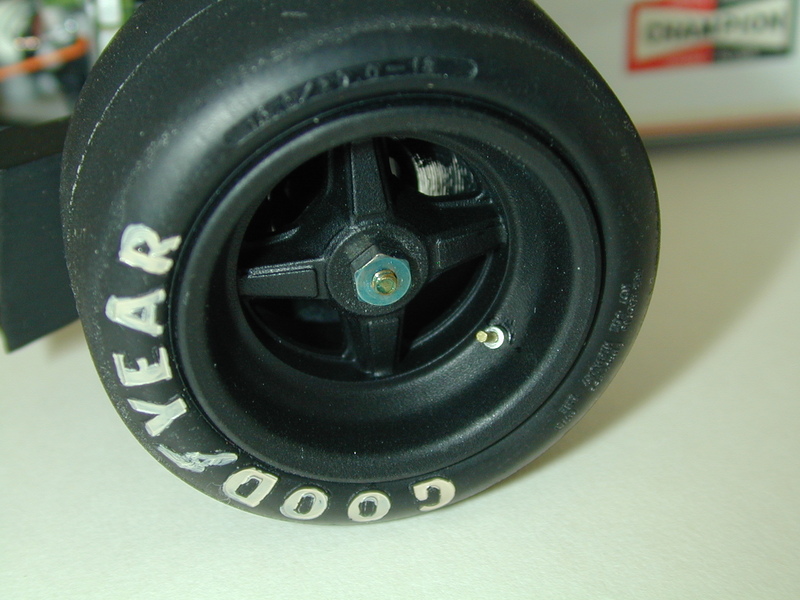 After sealing the edges of each with an acrylic varnish, they could be applied in the usual water-slide technique. The model was then given to Kerry in recognition of his kindness in giving me access to the real cars and it resided in his house for a year or more. Then I borrowed it back for about a year in order to show it at the 2006 Modelsport exhibition at Telford, having carried out numerous additions to improve final appearance towards that which is seen in the photographs here (This may explain any photos which appear to show the car in a less ideal state of presentation re decals). These improvements were mainly related to an improved final set of decals I had developed, these making such a difference. The final glory for the model was to appear in a set of photos I took in my workshop, representing the car as if full size in a white studio. 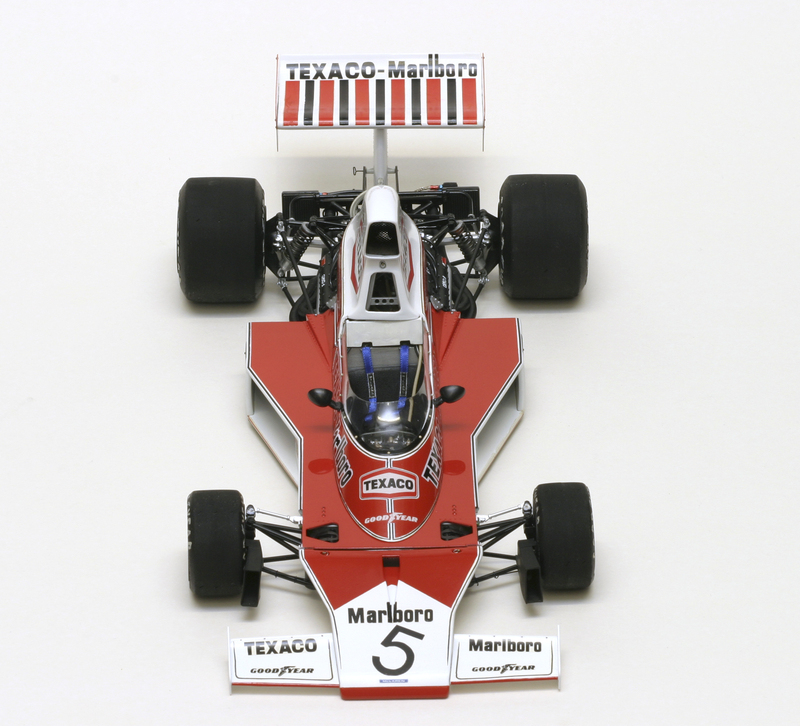 These were a success and enabled me to celebrate the car in Vol 36, Issue 419, February 2006 Scale Model International (SMI, Sam Publications). 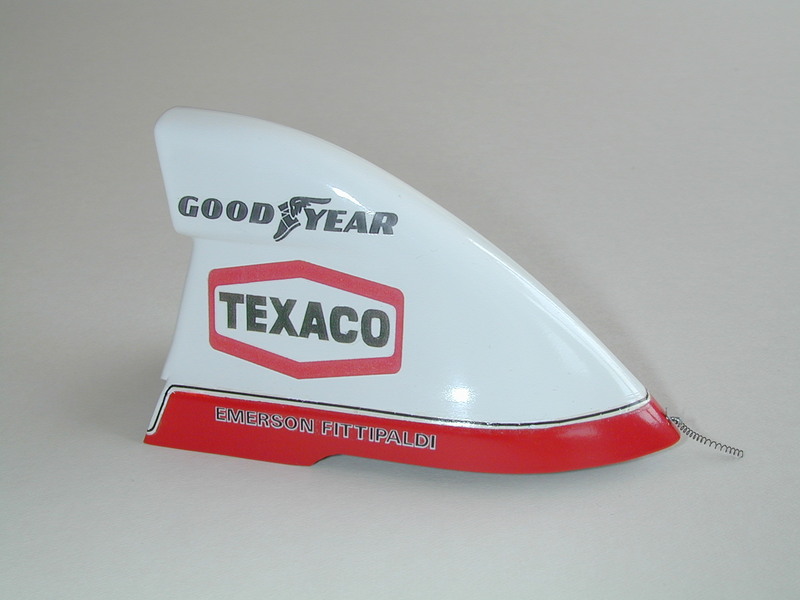 The model was then placed in an perspex case, supplied with a signed plaque and returned to Emerson’s former mechanic, ahead of its return to his residence in France.